I've been on a little holiday trip with my camper. To meet good friends is life's nicest moments so it was a cozy and pleasant journey. But I still have to admit; Away is good but home is best! I hope not everyone experiences it as I do, that you are more tired when coming home than before the vacation. During the summer I have some concerts as you can see on my tour schedule. Most recently we were, my musicians and I in the beautiful Hälleviksstand's Church. 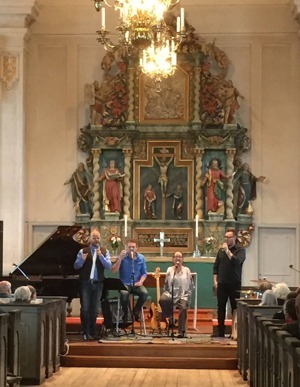 Next week we will visit the Cathedral in Mariestad. During the summer, I will also have my shop open. It's so nice to meet all holidaymakers. Would you like to help people get clean water through UNISEF? Then I'd like to take the opportunity to tell you about this month's offer in my store and webshop. 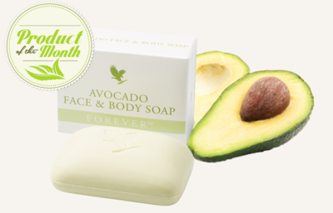 It's a wonderful Avocado soap. For every soap you buy SEK 5 is donated to UNISEF's work. The soap is reduced in price and costs only SEK 55. You can read more about it here! Have you by the way sunscreen and body lotion for the summer's all wonderful days of sunshine that we believe will come? Otherwise, I have both Sunscreen and Sunscreen Spray that you can order in my webshop.